Listed below are homes for sale in Tolar TX, updated daily from the MLS.These include a great selection of land and residences -- single family luxury homes, well landscaped ranches and economical starter homes. The best thing about real estate in Tolar TX is it's close to all the conveniences of Granbury but still has plenty of wide open acreage, farms and ranch houses and country charm. For more information about a specific Tolar TX home for sale, click "Request More Information" on the property detail page. We can provide sales history, disclosures and prices of recently sold Tolar homes and land. And, for your convenience, register for a free account to automatically receive email alerts whenever new Tolar real estate properties hit the market that match your search criteria. 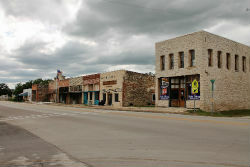 Just 7 miles to the west of Granbury, Tolar Texas was founded in 1980 as a trade center for local ranchers and farmers. It remains a rural community with beauriful farm land and working ranches. But with the Texas real estate boom, Dallas and Fort Worth residents began looking for vacation homes in Tolar TX. More recently, the influx of people to the Granbury has increased the demand for Tolar homes and undeveloped land. Although many Hood County residents still think of it as a farm community, there are several new suburban developments and a diverse selection of Tolar homes for sale. These range from working frams and acreage suitable for building new houses to rural cabins andnplanned communities with custom-built executive mansions. And there are an increasing number of new homes going up and land being subdivided for commercial and residential construction. Call us today to talk about the kind of Tolar real estate you're looking for or make an appointment to see some of our attractive houses for sale. We're located in Granbury, just 10 minutes from Tolar, and our experienced real estate agents are famiiliar with the current listings, property values and recent transactions..We look forward to working with you to help you buy or sell land or a home in Tolar TX.